START 1.5M TRAINER KITE The Start trainer kite is a simple and economical way to experience power kiting. No inflating, just take it out of the bag, attach the lines and fly. Learning the flying basics on a trainer kite is the safest way to develop the “muscle memory” required to control larger power kites safely. 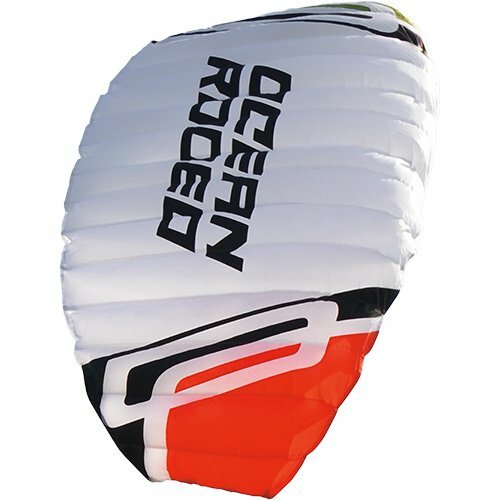 Basic kite flying skills should be second nature before attempting to fly a larger power kite as used in kiteboarding. The Start Trainer Kite comes complete with everything you need to to experience the joy of flying. PACKAGE COMES WITH: 1.5 Meter Start Trainer Kite 58cm ( 23″) deluxe trainer bar with 15 M (50′) flying lines. Carry bag.